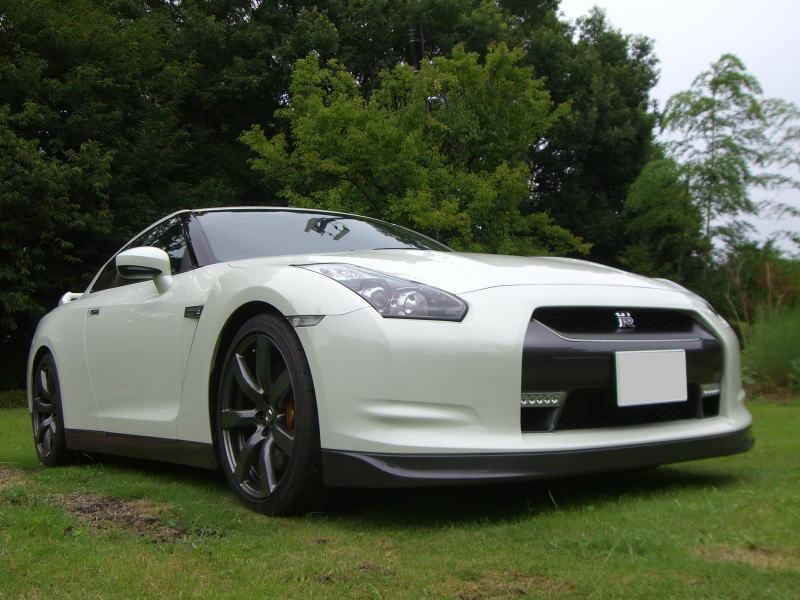 nissan gt-r r35 specifications - J's Garage Export Co., Ltd.
2007.10 : NISSAN announced the release of the R35 NISSAN GT-R. The Nissan GT-R is powered by a specially hand-made VR38DETT 3.8-liter turbocharged engine that makes 480 horsepower (353kW) at 6400rpm and maximum torque of 60kgm (588Nm) from 3200 to 5200rpm. The R35 Nissan GT-R adopts a newly developed Premium Midship package, and uses an independent transaxle 4WD system that integrated with the rear final drive by arranging the dual-clutch transmission, transfer case and final drive at the rear of the vehicle. 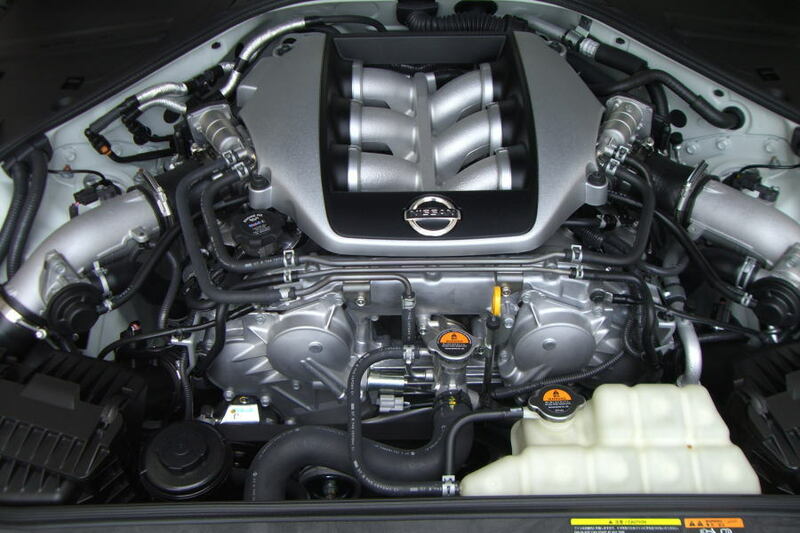 The 3.8-liter twin turbo V6 VR38 engine features plasma-sprayed bores and a special twin-turbo exhaust manifold system. And the Nissan GT-R have suited ultra-low emission vehicle (U-LEV) standards in Japan by adopting a secondary air management system enables. The Nissan GT-R uses an all-new GR6-type dual clutch transmission with paddle shifting and a Borg Warner six-plate dual clutch for direct control. 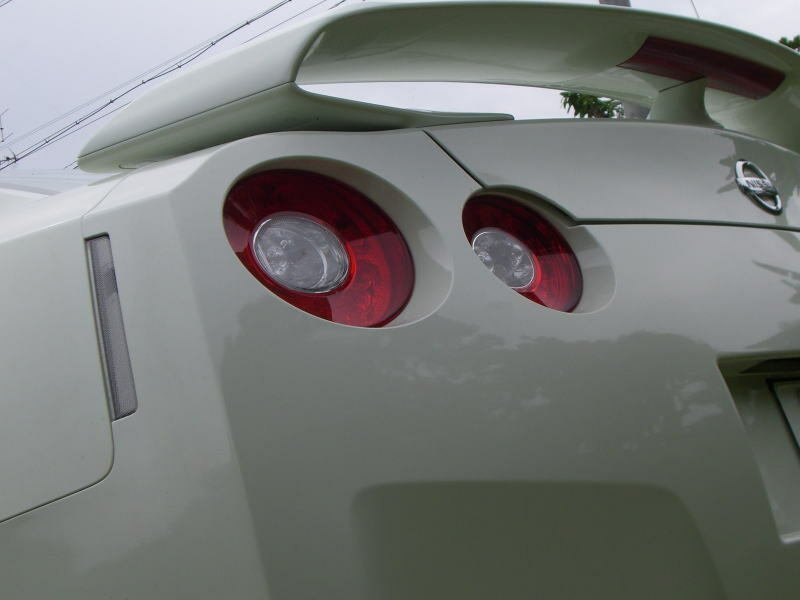 The Nissan GT-R's body is created with a combination of steel, carbon fiber and aluminum. The body features including aero-blades fenders, fender back scoops, a engine hood with air intake, a rear spoiler, and a low coefficient of drag of 0.27. The Nissan GT-R adopts large Brembo full-floating drilled rotors, low steel high stiffness brake pads and Brembo mono block six-piston front and four-piston rear calipers. Suspension features a special Bilstein DampTronic system. 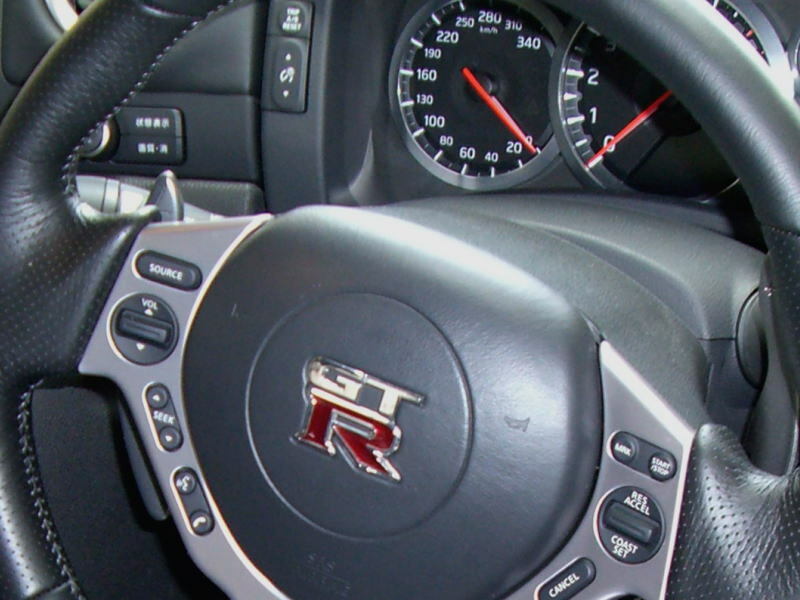 The Nissan GT-R has a special "set-up switch located in the center of the instrument panel. The switch enables the driver to adjust transmission shifts, shock absorbers and the Vehicle Dynamic Control (VDC-R) in three settings - Normal, Comfort or R ( high performance setting). 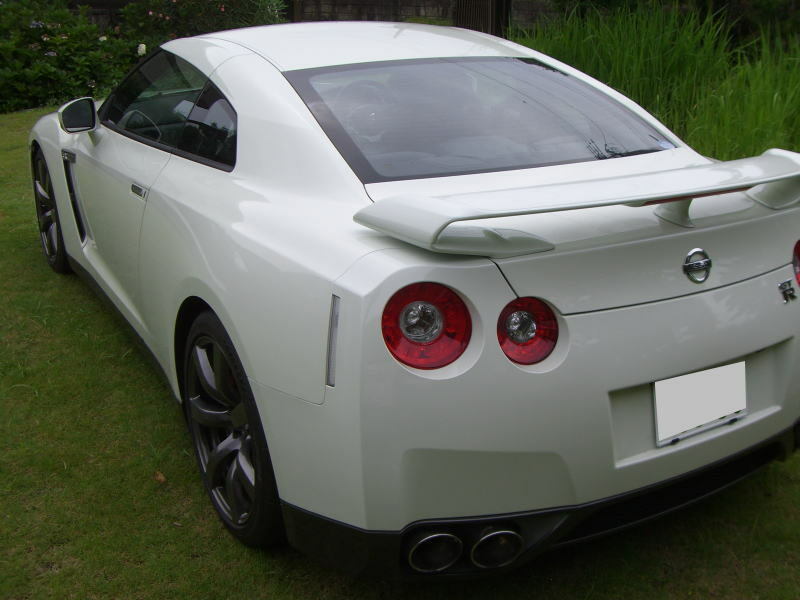 2009.01 : The Nissan GT-R Spec V is introduced. The feature of the GT-R Spec V is High-gear boost control device, NCCB (carbon-ceramic brakes), exclusive Bilstein suspension, RAYS one-piece alloy wheels, high-grip POTENZA RE070R tiers, RECARO carbon bucket seats, carbon rear spoiler, carbon rear diffuser, and titanium exhaust system. 2009. 12 : There are some minor changes. The Nissan GT-R adopts a HDD carwings navigation system, recalibrated suspension setting, improved-flow catalyst system, and a rear diffuser with cooling ducts that was only for the Spec-V model. And the cooling performance of the transmission has been improved. Nissan GT-R Spec-V get revised rear shock absorber settings. And the tire is changed to DUNLOP tires. 2010. 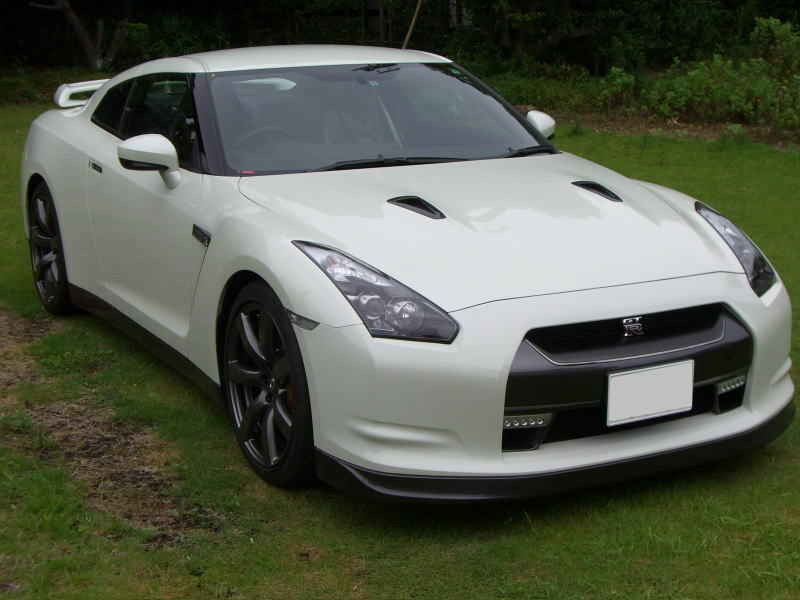 11 : Nissan GT-R 2011 model is introduced. The VR38DETT engine has been improved and that makes 390kW (530PS)/6400rpm and 612Nm (62.5kgfm) of torque. Also the suspension performance, transmission performance, and body quality have been improved. The Nissan GT-R Spec V adopts new rear brake pads, DUNLOP SP SPORT MAXX GT 600 DSST CTT, and black metalic color RAYS alloy wheels. 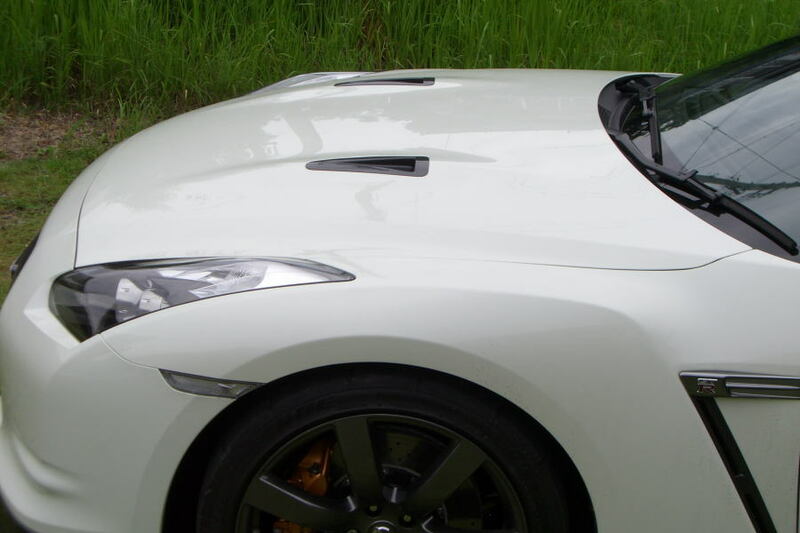 Nissan GT-R Club track edition is only for the circuit use. Nissan GT-R Egoist by which you can select interior is also introduced. The feature includes exclusive interior color, reticular pattern seats, and a Wgjima Lacquer Emblem.